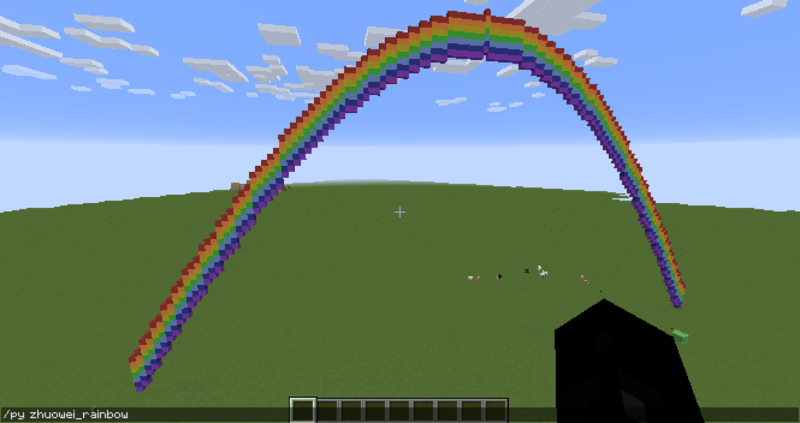 The PythonTool Mod documentation shows using Jupyter Notebooks to explore Minecraft interactively. Let's try that, since Nikola also uses Notebooks. I'm using a Python Virtual Environment to run my Nikola blog engine locally. 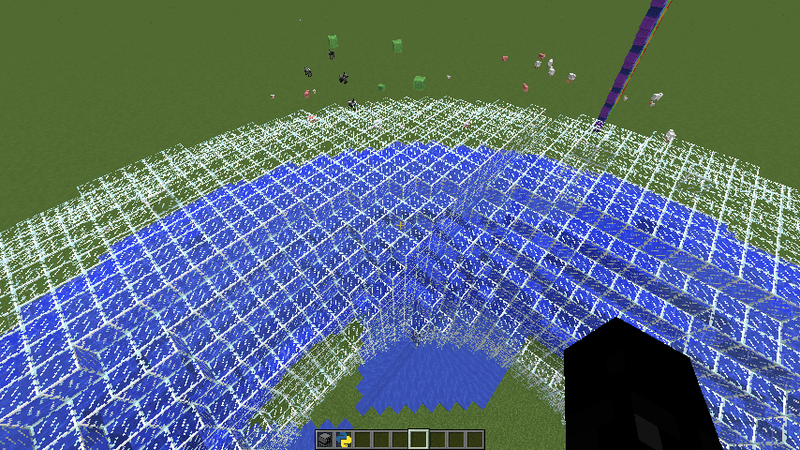 So I'll make changes in there, but it's also possible to do this in a separate "minecraft" venv. When that's ready, I made a new post in Nikola, but you can skip that and just create a new Notebook after starting Jupyter. [2018-02-10T10:50:09Z] NOTICE: compile_ipynb: No kernel specified, assuming "python3". [I 08:10:32.921 NotebookApp] Use Control-C to stop this server and shut down all kernels (twice to skip confirmation). This will launch your computer's default web browser and automatically log it into the Jupyter system with the token. You can then navigate to the post or create a new Notebook by using the New button. This is a nice simple program that has a few things I'd like to change. Okay, now I can edit inline of this post, I'll just copy-paste the code from the file into here. Let's hack! That is code to specify which minecraft server to connect to. A lot of the mcpipy examples include it. It's designed so that you keep a server.py together with your scripts and edit it to change where to connect to. I'm going to just skip it for running within Jupyter. I'll ignore that error, and replace any mention of server.address or server.is_pi with appropriate values. I nice wooly rainbow. 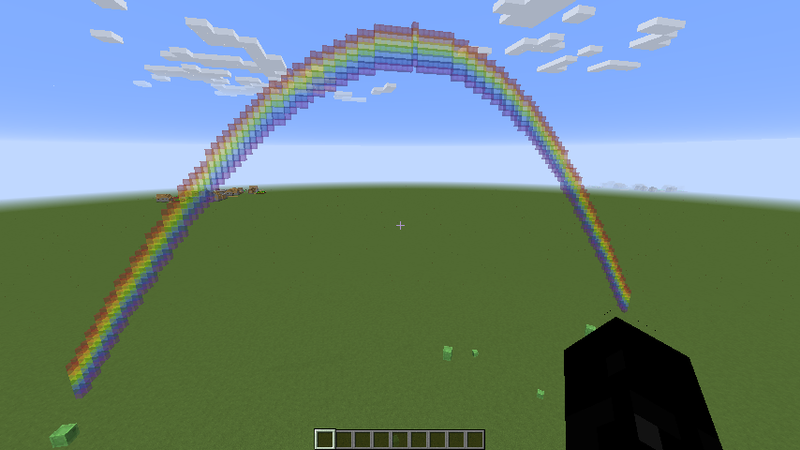 The code loops over the X axis and calculates nice curves for each colour in the rainbow, using the sin function. 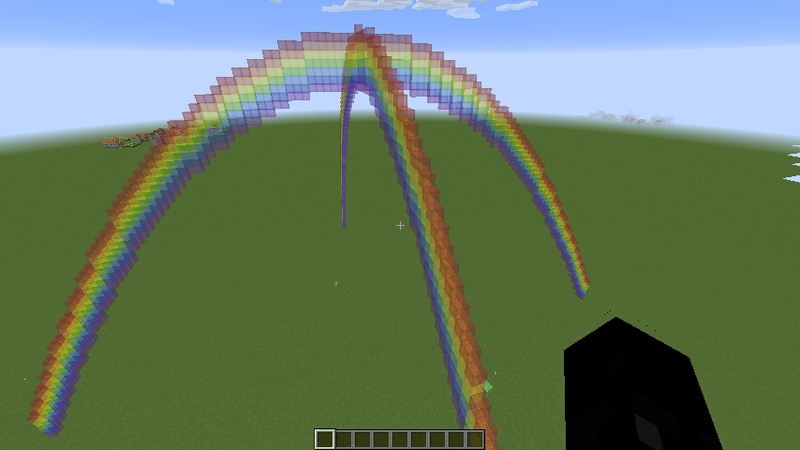 Each block in the curve is set to WOOL with a data value for the colour, taken from the colors array. That's better. 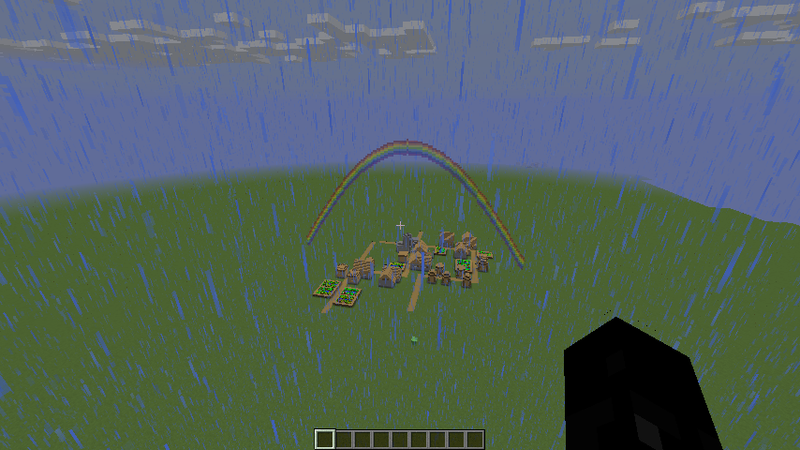 You can see the little village showing through the rainbow now. That was simple — just swap the position of the arguments to setBlock. I also renamed the loop variable to z so that it's clear what it's doing. Okay, that shows a nice way to debug Minecraft hacks from within a Notebook too: you can just get Jupyter to run a cell and the last value (the pos at the end) will be output like above, in the Notebook.